In the past decade and a half, German car companies have all started offering what they call a “four-door coupe.” While most people will probably look at these cars and just call them “sedans,” they’re differentiated by a more stylish roofline that swoops toward the rear. While it may just sound like marketing speak, almost every German car company from Volkswagen to Mercedes Benz has a four-door coupe in their lineup, showing that it’s a lucrative corner of the market. One of the latest is the Audi S5 Sportback, which is the four-door version of their S5 performance coupe. Additionally, instead of the standard sedan-style trunk, Audi has also incorporated a liftback tailgate similar to what’s found on the larger A7 and S7. 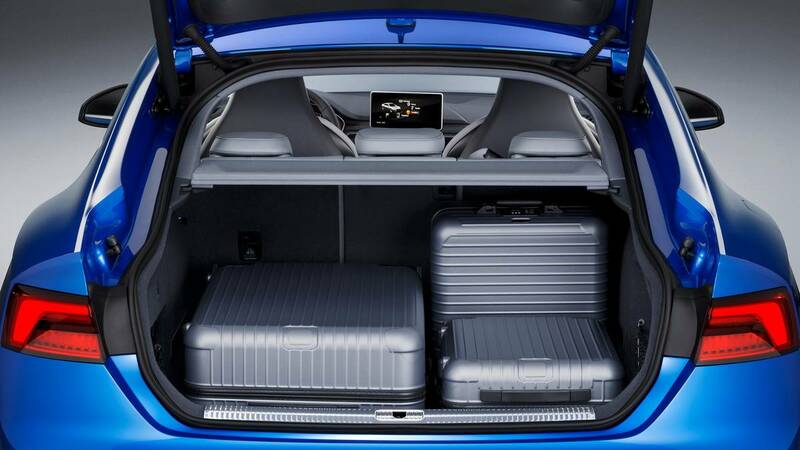 That makes the S5 Sportback more akin to a hatchback rather than a sedan, allowing it to offer about twice as much cargo room behind the second row over the S5 coupe, and it allows for a less cramped backseat with more rear headroom than you’d normally expect in the four-door coupe segment. When you put the seats down, the S5 Sportback will swallow much bulkier and outsized items compared with its sedan brethren, while the extra two doors allow for an easier ingress and exit from the back seat, making it much easier to carry friends around. Like all Audi models that start with “S,” the S5 Sportback is much more focused on performance than the standard A5 Sportback. To this end, the S5 Sportback receives a new heart: a 3.0-liter turbocharged V6 that puts out 354 horsepower, an upgrade of 100+ horses over the standard model. That power is sent to all four wheels via an eight-speed automatic gearbox and Audi’s Quattro all-wheel drive system, allowing the car to hit 60 mph in about 4.5 seconds, while a new rear differential allows the Sportback to send extra power to one of the back wheels to assist in cornering. While the S5 Sportback is certainly fast in a straight line, it isn’t exactly thrilling in the corners. That isn’t to say it has poor handling characteristics; it has grip for days due to its tricky all-wheel drive system, which is made only better with the optional adaptive dampers and performance tires. Instead, there’s a strange disconnect between the driver and the machine that makes you feel more like a passenger than a driver. Sure, the S5 Sportback will go exactly where you want it to go and it would take some guts to get it to the point where it wants to break free of the asphalt, but unfortunately the whole experience seems very sterile compared to some of its competitors. That said, the S5 Sportback wins a ton of style points, inside and out. We’ve already covered the swooping roofline that gives it the signature rear hatch, but it’s worth mentioning again its undeniably pretty shape to almost any eye. Inside, the S5 Sportback features a minimalist and sensible design with premium materials that’s guaranteed to age well. While the S5 Sportback’s cockpit may be nothing new to those already familiar with Audi interiors, there’s a reason why many other automakers have apparently been taking notes and adapting the brand’s design maxims into their own vehicles. Beyond the interior design, the S5 Sportback offers an array of features certain to woo luxury-car shoppers. Even base models get leather and Alcantara trimmed seats with pneumatic bolstering and massage functions, while Milano and Nappa premium leathers are available at the higher trim levels. Also standard are full LED headlights, three-zone automatic climate control, a panoramic sunroof, and Apple CarPlay and Android Auto connectivity. If you want to spend some extra money on a higher trim level, Audi offers a 19-speaker Bang and Olufson sound system, a heads-up display, and a 360-degree camera that’s coupled with Audi’s park assist. The last area where the S5 Sportback really shines is technologically. Like many luxury cars, the S5 is available with an array of both optional and standard driver assistance features that include blind-spot monitoring with rear cross-traffic alert, adaptive cruise control, and automatic emergency braking. The real trump card though is the inclusion of Audi’s Virtual Cockpit, which is one of the best digital gauge cluster displays on the market. Virtual Cockpit allows the driver to configure their dashboard display to show what information the driver finds most important, whether it be performance-oriented for spirited driving or with Google Maps for navigation and satellite views of the surrounding area. All in all, the S5 Sportback makes a great car for a commuter who wants to be comfortable in heavy traffic and on the highway, but with enough sportiness to break loose every once in a while. 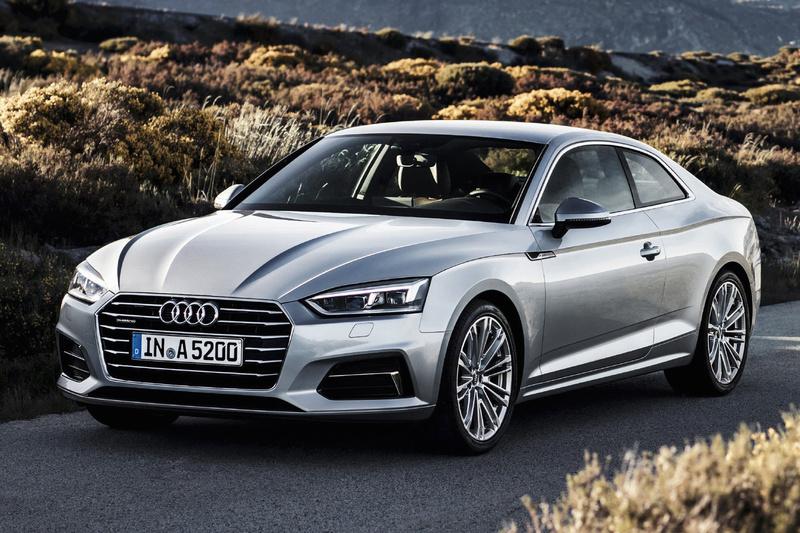 While it may lack that connection between driver and machine that many enthusiasts look for, it’s still more stylish than Audi’s similar S4 sedan and more practical for day-to-day use than the standard S5 coupe. It really offers the best of those two worlds in one great-looking package.